Browning Trail Cameras are triggered by two things: motion and a variance in temperature. The trail camera is able to do this by using a Passive Infrared (PIR) detector. Below we have provided some basic points on how the PIR operates. The detection zone is cone shaped and extends outward from the camera. The closer to the camera the subject is the tighter the detection zone. The further away from the camera the subject is the wider the detection zone. At a distance of 10' in front of the camera the detection zone is approximately 5' wide. 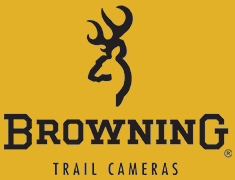 Browning Trail Cameras are able to detect animals or people by sensing changes in infrared light that occurs when the subject enters the cameras detection zone. Large animals, such as deer and elk, are easier to detect than smaller animals, such as birds and raccoons. It is always best if you can capture the subject moving through the detection zone at an angle versus straight towards the camera. This makes both the motion and temperature variance more visible to the camera. PIR sensors work best when there is a good difference in temperature between the animal and the outside temperature. Small leaves or twigs should not produce many false triggers based on how the camera operates. However, if a large branch moves due to wind the camera can see both the movement of the branch and the temperature behind the branch it generally cannot see causing the camera to trigger. How is my Browning Trail Camera Triggered? Browning Trail Cameras do not have a sensitivity adjustment. We believe that our cameras are designed to achieve peak performance and therefore should need no further adjustments. What do the different capture modes do?